As companions to the already unveiled 913 Drivers, Titleist has announced the 913 fairways and hybrids. “The 913 line of fairway metals and hybrids represent another breakthrough in long game performance,” said Dan Stone, Vice President of Research and Development, Titleist Golf Clubs. While both fairways, the 913F and 913F.d Low Spin, have lower centers of gravity there are two distinct performance choices due to the locations of the SureFit Tour weights. 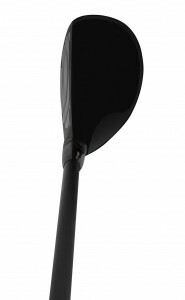 The 913F is a pear shape for all-around performance and the 913F.d Low Spin is a larger full pear shape fairway that produces about 200 rpm less than 913F from low and forward weighting for penetrating flight. The 913F, 913F.d Low Spin, and 913H begin shipping to golf shops Feb. 1, 2013 while the 913H.d is available by custom order starting March 15, 2013. 913F and 913F.d Low Spin have a street price of $249 and the 913H and 913H.d will sell for $229.